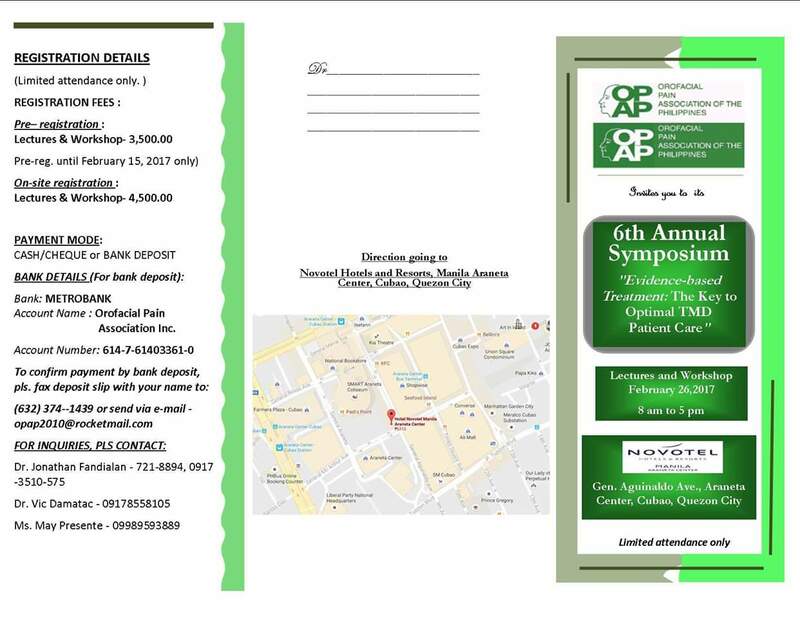 at Novotel Hotels and Resorts Manila Araneta Center, Cubao, Quezon City. 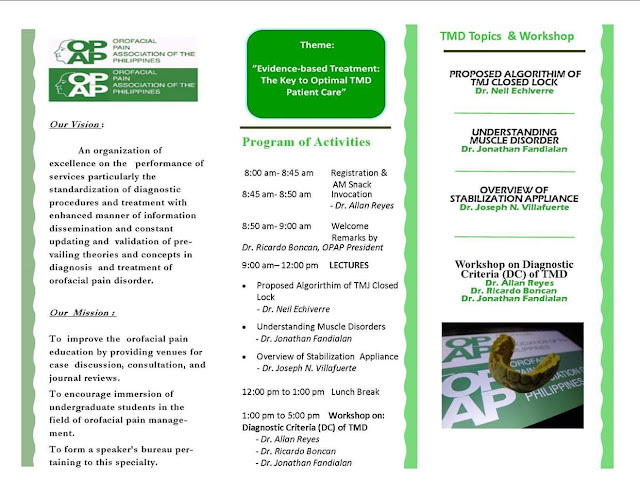 Orofacial Pain Association, Inc., Phil. 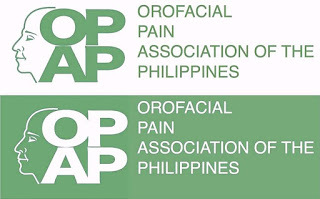 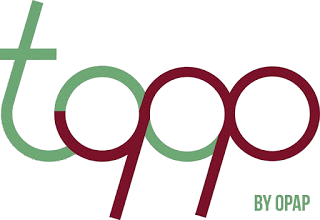 (OPAP) is an approved PRC Continuing Professional Development (CPD) provider. 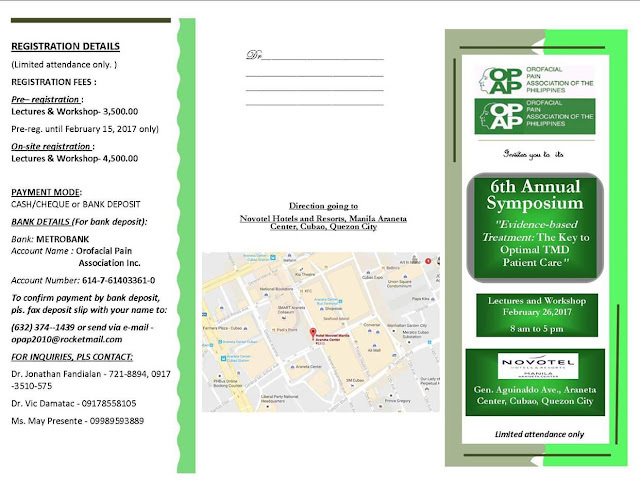 Let us continue to learn, enjoy the camaraderie of our colleagues and earn continuing education credit units.